Saudi Iron and Steel Company (Hadeed), the metals affiliate of Saudi Basic Industries Corp (Sabic), will continue cutting its costs until end-2016 as it does not expect global steel prices to recover for two to four years, Reuters quoted an executive as saying. “I will not say it is a crisis as such, it is a cycle – unfortunately a very long and painful cycle,” Abdulaziz Al Humaid, executive vice-president for metals at Sabic, told the Reuters Middle East Investment Summit. Since early 2015, Hadeed has cut costs by 20 per cent, Humaid said; it plans to expand that reduction to 30 per cent by the end of 2016. Costs of manpower and materials, as well as contractors’ charges, have been cut. Sabic’s metals group has a workforce of 4,350 people and the plan is to take that number to 3,850, he said. But compared to other parts of the world, the Gulf is still healthy in terms of demand growth because of projects to prepare for events such as the 2020 World Expo in Dubai and the 2022 soccer World Cup in Qatar, he said. Hadeed cut its domestic retail price for rebar steel by about 10 per cent in September. 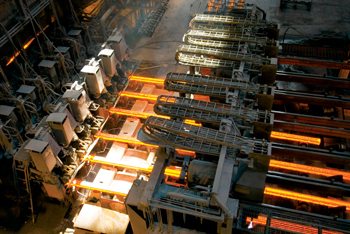 Sabic’s domestic steel prices are affected by global trends. The firm, which has a share of 40-45 per cent of the steel market in Saudi Arabia, has not invested abroad, and Humaid said this could now prove to be an advantage in an era of low prices. Steel demand in Saudi Arabia has dropped about five per cent from last year. Hadeed exports flat products and is the only producer of those in the region; the Saudi government has banned exports of rebar, which Humaid said were needed to supply the local market. Hadeed is the largest steel maker in the world’s top oil exporting country. It is deliberately holding back from raising its market share, as it intends to wait until the global steel market recovers before moving ahead with projects such as a plate mill in the Saudi city of Jubail and an iron ore joint venture in Mauritania, Humaid said. 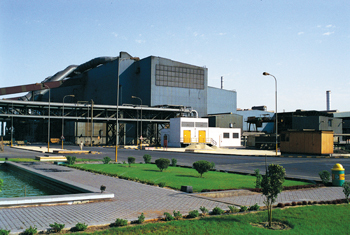 Hadeed’s current annual production capacity is 6 million tonnes and the Jubail plate mill will add 1.5 million tonnes at a cost of around $3.5 billion if it goes ahead. In Mauritania, Sabic expects to decide around the end of 2017 whether to mine iron ore. The investment is estimated to be $2 billion; Hadeed has chosen Mauritania because it is the world’s lowest-cost producer, Humaid said.